Starting in January, I’m introducing two exciting needlepoint clubs that will create great small projects no matter what your preferences are for needlepoint. I am so excited by these clubs and how it gives stitchers great ways to create original needlepoint easily and affordably. If you have been looking for ways easily to stretch yourself as a stitcher, look no further. These clubs will do the trick! Learn the details and register below. P.S. Those registering with an annual subscription before December 15 will get a bonus project exclusive to club members! If you’ve been reading Nuts for awhile you may have noticed that I love quilts. They present such wonderful opportunities to play with color and shapes — all in a simple geometric format. 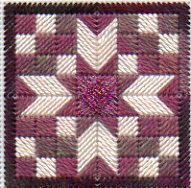 This club is for you if you love to stitch charted needlepoint. It’s also a perfect fit if you want to explore color schemes and combinations using your own stash. The projects will be small, ornament size, and will be squares or rectangles. Each monthly project will be sent via email as a PDF including a color picture of the project, a thread list, instructions, and charts. In the instructions there will be information about color schemes used and suggestions for other threads to help you create your unique design. The projects will cover a great selection of subjects including holidays, animals, food, and plants. Many months will also include a second template for you to select your own stitches for a second project. You’ll transfer the design to your canvas using the full-size template in each month’s instructions. Once this is complete, you’ll fill it with great stitches to make your own unique project. The club is monthly, coming as a PDF in your email. In each mailing you’ll get the fill-size template of the icon, plus a color picture of the stitched design, thread list and complete instructions, including stitch diagrams. If you want to join one or both clubs but would prefer to pay another way, please contact me for instructions. Other forms of payment are accepted only for the annual program. Love both examples of the quilt ones. The first one, I would love to try. I have been away from needlework for awhile but want to begin a little at a time. My hands and fingers have been bothering me. Anyway, if we pay monthly can we drop or have to commit to a year or anything like that for rules? I have a big stash and thought maybe this might be good for me without having to buy a lot of stuff. I think I only did a part of one of your mini stockings previously and need to think about finding them again. Yes, if you pat monthly, you do not have to commit to the year. 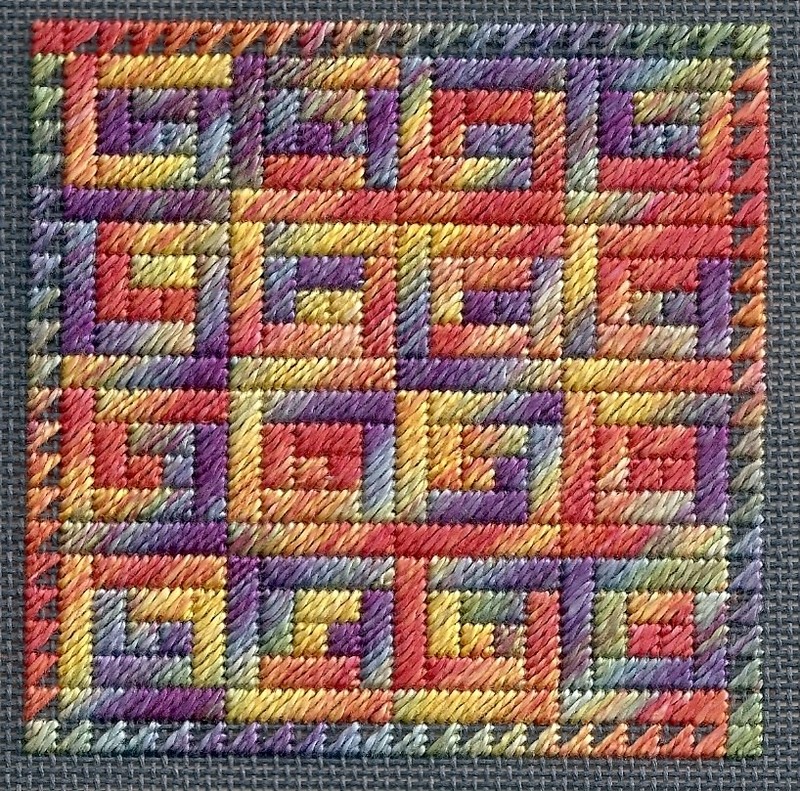 That first picture is of a design from a book of 17 quilt ornaments available from CyberPointers here: http://www.cyberpointers.org/?p=1695 It’s one of my favorites.